I have known the Corby family for 25 years and I am a close family friend. A supporter of sorts since day one, I became an active supporter 3 years ago after reading her book, “My Story,” when my heart would no longer allow me to sit on the sidelines waiting and hoping. My wife and I lost our son to illicit drugs 12 years ago. As such, I have no tolerance for illicit drugs or those dealing in them. As far as I am concerned, if you commit the crime, you do the time, providing the sentence is a fair and reasonable punishment. However, by the same token, if you are Innocent, you should be set free. The Innocent should not be punished. In March 2009 I visited Schapelle in Kerobokan Prison, along with her mother Rosleigh, two of her Aunts and a friend of Schapelle’s named Katrina. 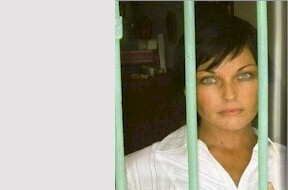 Katrina was one of Schapelle’s travelling companions on that fateful trip to Bali in October 2004. In order to visit Schapelle, your name must be on a Consulate list of approved visitors. Only family, close friends, and others who have been approved by Mercedes Corby, are on it. I visited her again in Late November/early December, this time with two fellow supporters, and I noticed a shocking deterioration in her mental condition. When she wasn't staring into space and rocking from side to side, or looking around intently seeing cameras everywhere and goodness knows what other demons, she was making frequent references to suicide and death. From time to time the Schapelle I remembered would resurface from the depths, but this occurred infrequently. From other comments she made about a range of bizarre topics, and in particular her dead father, I have no doubt that Professor Jonathan Phillip's assessment of Schapelle Corby, referred to later in this letter, is 100% correct. Schapelle is, without doubt, one of the loveliest persons you could ever hope to meet, and seeing her in this state was truly heartbreaking. As Australians, we pride ourselves on being charitable and caring, sensitive and kind, more than willing to lend a hand and give people a fair go, particularly the battlers in society. We are well known for rallying together to support those around us who have lost everything, the recent outpourings of generosity to the Victorian bushfire victims being just one example. However, in relation to this Innocent woman, we have done very poorly. I have found, when talking to people about her, that some individuals become quite hostile at the very mention of her name. Some of the comments made about Schapelle by Australians on the internet are nothing short of callous and cruel, with not a hint of care or compassion for this woman, who is suffering unspeakably for a crime she did not commit. Schapelle Corby is another Australian who has lost everything. She has lost her freedom, her comfort, her vitality and her joy. She has lost the company of her family and friends, except for the brief visits that she gets from time to time, and she has lost her chance at marriage and motherhood. She has, essentially, lost her life. Furthermore, if she remains in prison for much longer, she may very well kill herself. She pretty much lost the will to survive in June of 2008, following the death of her father in mid January, having her final appeal rejected in late March, and having her step father die in early April. Following this hat-trick of disastrous events, she became so disorientated and depressed that she lost the ability to eat and hold down food. Suffering from stress induced starvation, her weight quickly dropped to 43 kilos while her sister Mercedes was in Australia fighting the defamation case against Channel 7. Mercedes got back to Bali in mid June, jubilant over her court victory, only to find Schapelle looking like a walking skeleton. Despite Schapelle’s obvious physical condition, Mercedes had to literally stand in the visiting area of the prison and refuse to leave, before the prison authorities agreed to let Schapelle go to hospital. A mere 19 days later, the day before her 31st Birthday, Schapelle was returned to her prison cell heavily sedated, and she remains heavily medicated on anti-depressants to this day. Despite this, she continues to struggle daily with the agony of her wrongful imprisonment, and was admitted to hospital, once again, in late May of 2009. When admitted, she was unable to walk, talk or even wash herself. She appeared retarded and tears would stream down her face, even when she was not crying. This time she was allowed only 12 days respite from the squalor of her prison cell, before being dragged back there in the middle of the night. This was done on the advice of doctors within the hospital who claimed she was improving, despite having never examined her. Schapelle has already lacerated her arms, knees and face with broken glass. She will not survive much longer. Even when Schapelle’s mental state was better, she still suffered immeasurably. Being a female prison inmate in a Muslim ruled country immediately places you at a disadvantage. Unlike the men, women are not allowed to play sports, or work out in a gym, they do not have access to television and there is no furniture of any kind in their cells. The lucky ones, those with support on the outside, sleep on thin mattresses, the rest sleep on sarongs spread out over the concrete floor. The men can come and go from their cells pretty much whenever they want to, whereas the women are locked up for 15 hours a day, sitting around most of the time, barely moving. Contrary to what some may believe, Schapelle does not get out of prison to wine and dine with her sister whenever she feels like it. She never has and she never will, until she is free, and has been cured (hopefully) of her serious mental illness. Schapelle used to read books but can no longer do so, due to her inability to concentrate and the phobias she has about practically everything. Even reading short letters from friends is now almost beyond her. Until recently she was making beaded necklaces, bracelets and anklets, one of the very few things that the prison authorities allowed her to do, but now struggles even with this. The simple acts of washing, dressing and eating can, at times, be too much for her to manage on her own, depending on her level of lucidity. At times like this, her sister Mercedes has to come into the prison and assist her with these basic functions, a job which nearly breaks her heart. Even if her former request to start up beauty therapy classes for her fellow prisoners was now granted, it is highly unlikely she would be capable of running them. The toilet in the corner of the cell occasionally blocks up spewing human waste out onto the floor which can sometimes remain there for days until the problem is fixed and the floor cleaned. Additionally, the stench from outside, the heat and humidity, the mosquitoes, the red ants that bite at night leaving welts and scars, and the rats, remind Schapelle every day of exactly where she is. The prison is rife with diseases like Aids and Hepatitis and Schapelle suffers regularly from severe eye and ear infections. Her hair has gone prematurely grey and has to be dyed constantly to maintain its black appearance. In her 5 plus years of imprisonment, Schapelle has witnessed all manner of horrors, horrors that no young woman should ever have to see - prisoners being bashed to a pulp, kicked in the face until it’s just blood and bone, girls attacking each other with broken glass, women miscarrying in her cell, and several suicides. She has endured this without the assistance of trauma counselling, which we would all expect to receive for witnessing far less. In 2010, there is not much left that Schapelle has not seen. Did Schapelle Corby deserve this, and does she deserve having to endure more of the same for the remainder of her sentence (13 and a half years barring further reductions)? No! She is not a drug dealer, a drug smuggler, or a drug trafficker. She never was. Before her real life was stolen from her, Schapelle did not use marijuana and did not even like being around those who were. She did admit to trying it a couple of times in her teens but has not touched it since. An occasional beer and a few mild cigarettes were her only vices. Despite being convicted of drug smuggling in Bali, she has no proven association with illicit drugs, or anyone dealing in them in Australia. Prior to her fateful trip to Bali in October 2004, Schapelle had no criminal record and was, to all intents and purposes, a law abiding citizen. She was, and still is, a very caring and compassionate person as well as a loving daughter and sister, one that her family are very proud of despite her conviction in Bali, which they know to be unjust. Despite her own personal torment and anguish, which would drain the emotional resources of most, she still manages to spare a thought for others and their pain. Schapelle has cried so many times in her own misery since this tragedy began, yet she can still find a tear for others when she knows they are suffering nearby. Schapelle Corby is a beautiful and courageous person, admired and loved by all her supporters. Everything you thought you knew about her, and her case, needs to be seriously re-evaluated. And yet, there was marijuana in her boogie-board bag. This fact is indisputable. So, apart from the intimate knowledge that I have through my friendship with the Corby family, and with Schapelle herself, what else do I have to support the notion that she is “Not Guilty”? Firstly, there was no motive. The value of the drugs in Australia would have been around $35,000 and in Bali around $5,000. So, who in their right mind would take a chance on receiving a death sentence, or a life sentence in a third world prison, just to lose $30,000? No one would, which is why marijuana has never been taken to Bali from Australia before, or since. Indeed, if the drugs in her bag really did come from Australia, this event is unique in the histories of both Australia and Indonesia. Quite simply, there is no Australian marijuana on Bali’s streets. There never has been, and probably never will be. Australian marijuana, grown hydroponically, which is apparently much sought after by westerners in Bali and carries the name “Aussie Gold,” is a myth. Schapelle, who had worked so hard in her mother’s Fish & Chip shop just to save the $1300 for her trip, and who was given a further $1100 by her mother and father to have a good time, would not have had the money to buy the drugs anyway. Do I suspect her father of inserting the drugs? No, I do not! He loved his daughter and vice-versa. She was his baby girl, the youngest of his children, and they shared a very special bond. She was the one living with him, and caring for him, as he slowly died of cancer. He would never have done anything like this to her. When he did finally die, in January 2008, she was the one and only family member who could not attend his funeral. - Firstly, not one of them would have had the money to buy $35,000 worth of marijuana. - Secondly, they would not do this to their sister - slip 4 kilos of marijuana in clear plastic bags into her boogie-board bag, on top of her boogie-board, without telling her, and let her fly off to a country that has the death penalty for drug trafficking. I know them well enough to say this with certainty. - Thirdly, what would be the motive for doing so? So Schapelle (a non drug user) could sell the drugs in Bali for $5000, in competition with local drug dealers, while on a two week holiday? So she could create history by being the first person, ever, to take marijuana to Bali from Australia? No! Do I suspect baggage handlers of inserting the drugs, for the purpose of getting them interstate, then failing to remove them in Sydney? Yes, it is a distinct possibility but is, as yet, unproven. 4 months after Schapelle’s “Guilty” verdict, a British aviation expert, Sir John Wheeler, did investigate airport security and find that marijuana is moved through Australian airports. This is done with the aid of airport and airline staff who the criminals bribe in order to circumvent airport security. Do I suspect Schapelle of doing this? No, I do not, and it comes back to motive. Why pay a bribe to ensure the passage of the drugs between Brisbane and Sydney, so they can continue onward to Bali to be sold for a fraction of their original value? Paying a bribe would only compound the loss. Schapelle’s bag was unlocked, so the drugs could have been inserted in Sydney. This possibility is under investigation by a number of supporters, but there is currently no hard evidence to support the notion. The only thing we do know is that a major cocaine shipment did come into Sydney International Airport from South America while Schapelle’s boogie-board bag was on the ground in the international baggage handling area. The marijuana may have arrived at the same time and been discarded into Schapelle’s bag for some, as yet, unknown reason. Of course, discounting Sydney, there is only one other place where the drugs could have been inserted and that is, on the ground in Bali, before the boogie-board bag passed through Customs. This is a possibility. Regrettably, the truth of the matter is this - we don’t really know who inserted the drugs, and we may never know. Because they were burnt without ever being tested for their country and place of origin, which could have been established in advanced laboratories, there is no way to tell where they came from. In not knowing this, it is very difficult to establish with certainty the guilty party, or their motive. The only thing we are certain of is this: that Schapelle Corby did not insert them, and neither did anyone else in her family. Nevertheless, the actions of the Balinese Police, the Prosecution, and the Judges, appear incongruous. Had they truly suspected that Schapelle was guilty of the crimes for which she was charged, they should, seemingly, have conducted themselves differently. The Indonesian Code of Criminal Procedure also requires that the Prosecution provide some form of secondary evidence with which to back up the primary evidence, in order to secure a conviction, the primary evidence in this case being the marijuana itself. As such, it is reasonable to assume that the Balinese Police would have conducted a full investigation into this crime, both to assist the Prosecution in building their case against Schapelle Corby and to catch all those involved. Any one, or all, of the following points could have been investigated, and if the Police had been doing their job properly one would have expected them to do so. Weighing her checked in baggage with the drugs on the scales, and comparing this weight with the checked-in weight. If the two weights were the same then the drugs were in her bag at check-in. Not done, not deemed necessary by the Police. Why would they deem such a simple process to be unnecessary, when it could have provided the secondary evidence straight away? Forensically testing the marijuana to determine its country of origin. This would have been necessary to prove that the drugs actually came from Australia and, had it done so, would have provided the Prosecution with a prima facie case. Furthermore, had Schapelle’s DNA been matched against the DNA of any hair or skin fragments found amongst the drugs, she would have had no choice but to change her plea to “Guilty.” Not only did the Police not do this, they refused to allow the Australian Federal Police to do it. They also burned the remaining evidence in March 2006, well before Schapelle’s avenues of appeal had been exhausted, to ensure that the drugs could never be tested in the future. They did this in contravention of International Law, which requires at least a sample of the evidence to be preserved. Had forensic testing been conducted, and had it proven that the drugs were Indonesian, Schapelle would have been exonerated straight away and the finger pointed at the Balinese. Had it proven that the drugs were South American, Schapelle would once again have been exonerated and the finger pointed at Sydney baggage handlers. Schapelle begged for these investigations to be carried out and even signed a consent form allowing the Australian Federal Police to forensically test the marijuana, in order to ensure a proper result. Since when do guilty people beg for further investigations of their crime, knowing full well that the results will only further incriminate them? Bearing in mind that the results of these investigations could just as easily have proven that Schapelle was innocent, we begin to see a possible motive for their refusal to do so. However, we have to ask the question - If they thought Schapelle was guilty, why not conduct these simple investigative procedures and prove it? Last but not least, a Police investigation into how Schapelle had acquired, and intended to dispose of, 4.2kg of marijuana. Since Schapelle was also being charged with trafficking, as well as importation, it would have been necessary to establish that she did, in fact, have connections with a drug distribution network in Bali. Once again, not done. Despite this being recorded as the first time that marijuana has ever been exported from Australia to Bali, no investigation of any kind was carried out in either country, and during the entire case no mention was made of a single person believed to be involved with Schapelle in disposing of the drugs. The Police did not interview Mercedes, her husband Wayan, or anyone else in Bali for that matter, nor did they visit Mercedes’ home. In Australia, no officer from the Queensland or Australian Federal Police forces interviewed a single family member in relation to this crime. Nor did they visit either of the Corby residences. It appears that no one in authority, in either country, had any interest in finding out who else may have been involved, in order to put a stop to what was, if true, a new and disturbing development in transnational drug trafficking. When asked why the AFP had not investigated the Corby’s in Australia in relation to this crime, Mick Keelty, the AFP Commissioner, replied, “It's not the job of the Australian Federal Police to clear people.” In saying this, was he admitting that he knew Schapelle Corby was innocent? The one spin-off from the Balinese Police’s refusal to conduct an investigation was the fact that Schapelle’s defence case suffered considerably. Indeed, with no evidence forthcoming from their non-investigation, her lawyers were forced to look to Australia for something, anything, with which to mount a defence. Because Schapelle was innocent, and had effectively handed over control of her bags to baggage handlers from the moment of check-in to the time she retrieved them in Bali, the probability that baggage handlers had inserted the drugs into her bag, for whatever reason, was a reasonable assumption. As such, her lawyers examined every aspect of baggage handling practices in an attempt to find a clue which would explain the presence of the drugs in her bag and prove “reasonable doubt,” which is grounds for acquittal in any fair minded court in the world. The “baggage handler defence” was, however, given real substance with the inclusion of the Victorian prisoner John Ford’s testimony to the case. Quite why John Ford decided to give the testimony that he did, I do not know, but his story about the jailed baggage handlers discussing the bungled drug delivery, and of the man lamenting his marijuana loss, came with no supporting hard evidence. Having said this though, it may very well have been the truth. Schapelle, of course, saw it as her salvation. It made sense of the senseless and vindicated her protestations of innocence, but in the end it did not help her. Mick Keelty effectively destroyed any chance that John Ford’s testimony would help Schapelle, by branding it as hearsay before John even went to Bali. So, having ignored all these legitimate avenues of investigation with which to provide some form of secondary evidence, the Police chose instead to resort to underhanded tactics. They tried twice to trick Schapelle into signing a confession, both times written in Indonesian which she could neither speak nor read at the time, the first one just hours after her arrest. They also tried to plant drugs on her once in the Polda visitor’s room. However, these measures all failed. When Schapelle’s blood and urine tests returned a negative result for drug use, the Prosecution was in trouble. They had no hard secondary evidence and this is where they too resorted to underhanded tactics. In a country where bribery and corruption is rife, and the dealings of the Police are above the law, they created their own secondary evidence, based on the testimony of the two Customs Officers and two Police Officers who were present in the airport at the time. The two Police Officers could not speak English and the Custom's Officer, Gusti Winata, who was their principal witness, chose to use an interpreter when questioned in court. He was also given immunity from hard-line questioning by the Defence. The testimony they gave in relation to Schapelle’s demeanour and actions, at the time the drugs were found, was seriously at odds with the testimony given by Schapelle. And yet, the CCTV footage from the camera above the Customs counter, which could and would have corroborated their version of events, had it been the truth, was never allowed into the courtroom, despite it being requested by Schapelle and her lawyer. This footage would have given legitimacy to the Prosecution’s only secondary evidence, and as such, the fact that they did not request it themselves is significant. It leads one to conclude, logically, that the testimony of these men was a pack of lies, and this footage would have rendered it inadmissible as evidence. Not only should this camera footage have been allowed into the courtroom, the Judge himself should have insisted on it. The testimony of these men was both crucial and damning, and Schapelle had every right to request this footage for the purpose of refuting it. When the Judge failed to comply with the request he sided with the Prosecution, and his impartiality was seriously compromised. For him and the other two Judges to find Schapelle ‘Guilty’ of importing a Class One Narcotic, without any proof that the drugs even came from Australia, and without attempting to confirm that the testimony presented as secondary evidence was actually true and correct, especially when this evidence was being disputed, was an outrageous travesty of justice. They chose, or were ordered by a higher authority, to believe the lies of these men, yet they dismissed outright not only Schapelle’s sworn statements, but also her testimony, and the testimony of every one of her witnesses. On the charge of trafficking, they found Schapelle ‘Guilty,’ even though the Prosecution did not present a single piece of evidence or testimony to support the charge. In so doing, they were then at liberty, under Indonesian Law, to impose a sentence in excess of 10 years, this being the maximum allowable for possession and importation alone. Is it any wonder that Judge Linton Sirait had never acquitted a defendant in 500 previous drug related cases, when we look at how he handled Schapelle’s case? Not one Judge in the panel of three had ever acquitted a defendant. In light of this, how can we possibly accept their verdict as a credible outcome, or condone the imposition of a 20 year sentence, one of the highest ever given for drug trafficking, more than murderers, rapists and terrorists often receive. The fact is, we cannot, yet most Australians have. 20 years, in the squalor, hatred and violence of a third world prison, where the average life expectancy is only 10 years! As to why the Balinese would plant drugs on an innocent traveller, if the drugs were indeed planted there, we do not know.They could have been planted as a decoy, to allow the passage of a large quantity of hard drugs out of Bali that day to go unnoticed, drugs possibly destined for Australia. They could also have been planted as an act of revenge because Australia, and Australians, are despised in Indonesia for bringing about the loss of East Timor, and for being the interfering force behind the conviction of Abu Bakar Bashir. It would not have been Schapelle herself that they targeted, merely her unlocked boogie-board bag, which was the right shape and size for their purpose. Being one of the last items of baggage loaded on the plane in Sydney, it was one of the first items unloaded in Bali. Why the Balinese Police did not properly investigate the case appears hard to fathom, until we consider the following: If the Balinese were the guilty party (there is no hard evidence that supports this notion), an investigation would have exposed their guilt. To ensure a conviction against Schapelle and avoid exposure, the Police and Prosecution may have elected to play it safe, using unverified testimony as their secondary evidence, rather than risk an investigation which might unearth inconvenient truths regarding Schapelle’s innocence, and the potential guilt of their countrymen. Did the Australian Federal Police assist in Undermining Schapelle Corby’s Defence? Yes! The CCTV footage from Brisbane Airport, which would have shown the flatness of Schapelle’s boogie-board bag as she checked it in, was never presented and its fate remains a mystery. It is my belief, and the belief of many within the support movement, that the AFP seized and destroyed this footage. The final story given by Qantas, no doubt upon instructions from a higher authority, after several earlier and conflicting stories had failed to deter those seeking this evidence for Schapelle’s defence - “The cameras were under repair.” Several people from Security also came forward claiming that the cameras were not switched on. A former airport Customs Officer who I worked with recently, told me that our major airports could have as many as three security camera systems operating at any one time, and the suggestion that the cameras were all, either under repair or switched off, is complete nonsense. The cameras at Sydney International Airport baggage handling area were all found to be facing the wall the day Schapelle’s boogie-board bag passed through there, no doubt to ensure that the cocaine importation activity that was occurring there that day would not be recorded on videotape. Did the Australian Federal Government sell Schapelle Corby’s Human Rights for Political Expediency? Yes! Despite contributing $100,000 to her legal expenses, they essentially left Schapelle to her fate, claiming that they could not interfere in the judicial process of another country. They continued to maintain this stance even when the Balinese Police, Prosecution and Judges were blatantly breaking Indonesian Law in their endeavour to convict her. They remained silent when her basic Human Rights were being brutally violated, rights supposedly guaranteed by the United Nations through the International Covenant on Civil and Political Rights. Australia was being accused of being a drug exporting nation for the first time, yet they failed to demand a sample of the marijuana for testing to determine if this was true. They had every right to do this under the Mutual Assistance Treaty that exists between Australia and Indonesia. They left the job of obtaining a sample to the AFP, when in fact, the Attorney General should have requested it from the Indonesian Supreme Court. When a sample was denied, they accepted this without question, despite the importance of forensic testing to Schapelle’s defence. When support for Schapelle in Australia was running at 90%, and her case was seriously damaging our relations with Indonesia, they adopted a pragmatic approach. Even though they knew she was innocent, they decided that our relationship with Indonesia was more important than Schapelle’s human rights, so they commissioned the media to conduct the most shameful smear campaign ever waged against an Australian family, a campaign which continues to this day. They wanted Australians believing that Schapelle Corby was guilty and that members of her family have been involved in the drug trade for decades, and they used the media to “manage” everyone’s opinion. This was done through a process of subterfuge. Little by little, bit by bit, people’s perceptions were bent, creating distance between her sham trial in 2005 and the present day. Using a simple six step methodology they slowly shifted focus from the truth to a false reality of their own creation, and along the way they made a lot of money through numerous fabricated stories. I say fabricated, because they were. The Corby family are not involved in the drug trade and they do not have criminal records. What’s more, I have copies of Police Certificates which prove this. Yes, Schapelle’s two half brothers have had brushes with the law, but these matters are totally unrelated to Schapelle herself and do not involve the drug trade. By declaring the royalties from the book as being the proceeds of crime, they were stating that a crime had been committed. And yet, the book was written for the express purpose of telling the Australian people that a crime had not been committed, at least, not by Schapelle Corby. It was a win-win situation for both the media and the government. The only loser was Schapelle Corby, and being the daughter of a working class family, she was considered expendable. Now, 5 and a half years later, Snow White has become the Wicked Witch in the minds of most Australians, and yet, she is as innocent now as she was then. Bad things really do happen to good people. John F Kennedy also said, “The great enemy of the truth is very often not the lie, but the myth, persistent, persuasive, and unrealistic. See - http://www.youtube.com/watch?v=oO51twevL2I It is time for Schapelle Corby’s innocence to finally count for something. It is time for everyone in Australia to reacquaint themselves with the truth, which they could all see in 2005 before their eyes were blinded and their hearts hardened by a process of spin doctoring. Having reacquainted themselves, they need to rise up and help her, as she begged them to do back in October 2004. Using people power, we must shame the Rudd Government into negotiating Schapelle’s immediate release from Kerobokan Prison on humanitarian grounds, not to serve out the rest of her sentence in an Australian prison, but to come home a Free Woman for much needed psychiatric treatment. Do not allow yourself to be deceived into thinking that the government is trying to help, when they mention their efforts to secure a Prisoner Transfer Agreement with Indonesia. They know perfectly well that a PTA is a long way off and will not be finalised in time to help Schapelle. Please, think for a moment how you would feel if you were in Schapelle Corby’s shoes right now. Think how you would feel if she were your daughter, your sister or your best friend. No matter how you decide to help Schapelle, please, DO NOT direct your anger towards the Indonesians, as this will NOT help her. Schapelle is lost and afraid, suffering from a severe psychotic illness. At times her mind and body shut down and she sinks into a catatonic state. She has twice tried to bleed to death by slashing her arms and legs. She has regressed to a childlike state. She will not survive much longer.